Many thanks to all who volunteered their time and talents providing refreshments at the recent Miners’ Gala. The sum of £772.30 was raised for NEPACS (supporting prisoners’ families) and Parish overseas development projects. A further £74.05 was raised for twinning our toilets with facilities in the developing world. Well done to all involved! For a number of years, St Cuthbert’s Parish has engaged in fundraising to support development in a parish in Belpahar, India. Due to circumstances beyond our control, it has become impossible to verify that funds transferred to India are being received by the intended recipient. This has been a matter of great concern to the Parish Priest, Justice and Peace Group and Finance Committee. Having taken appropriate advice, it has been agreed that without assurance of proper receipt and use of funds it is no longer appropriate or responsible to continue to send money to India. Since September 2012, when funds were last transferred to India, just over £4000 has been raised which we had intended to send to Belpahar. It is now proposed that these funds be applied instead to other similar overseas development projects identified by the Parish Justice and Peace Group. The Group has in mind in particular the project at Tierra Firme, a barrio in Ibagué, Colombia supported by our friends at the Durham Martyrs’ Parish. In accordance with Charity Commission guidance for such situations, individuals who have made identifiable donations for Belpahar since September 2012 are entitled to reclaim their donation. Any claims should reach the Parish Office by Monday 29 June 2015. After that date the funds given for Belpahar will be applied as described above. Please keep all those affected in your prayers. If you have any queries, please speak to fr. Ben or a member of the Parish Justice and Peace Group. CAFOD has a vacancy for a Community Participation Co-ordinator in the Diocese of Hexham and Newcastle. This is a two year fixed term post (part time 17.5 hours per week) working with volunteers in parish and school communities helping to inspire and resource Catholics to participate in the Church’s mission to overcome poverty and injustice overseas in partnership with CAFOD. Closing date 10th July 2015. For more information see www.cafod.org.uk/Work-with-us/UK-Jobs/CPC. The weekly bulletin at St Cuthbert’s is now available in an electronic format delivered directly to your e-mail inbox. To sign up, visit www.stcuthberts-durham.org.uk/signup. Corpus Christi Procession at Ushaw College – Sunday 7 June, 2:00pm. First Communion Mass at St Cuthbert’s – Sunday 14 June, 10:00am. Parish Garden Party and Barbecue: from 11:30am (i.e. after Mass) on Sunday 28 June – to celebrate completion of payment for the stonework project! Gospel with joy and hope – Sunday 6 September, 3:30pm. Extraordinary meeting of Bishops held in Rome in October 2014.
at 7:30pm on Friday 1st May 2015. Peter Doyle who will attend the Synod. 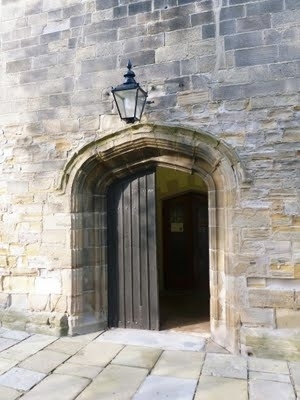 Durham Churches Together (DCT) is organising hustings for the Parliamentary Election for the City of Durham Constituency. These will be held at Durham Town Hall on Monday 27 April at 7:30 pm. The Dean of Durham Cathedral, Very Rev. Michael Sadgrove, will chair proceedings. You are encouraged to send in questions for all candidates to the DCT Secretary, Kirsty Thomas, at thomas.kirsty@gmail.com. If you haven’t already done so, please take a copy of the Bishops’ letter to Catholics for the General Election (available at the back of the church), or view information from the Bishops’ Conference on-line at www.catholicnews.org.uk/election15. This may well raise some questions which you would like to put to candidates! Until 13 April, Durham Cathedral is hosting an Exhibition of Icons of twelve of our local Saints. These icons were “written” by amateurs – in prayer and fasting at the Centre for Prayer and Mission, Seaham, part of the Evangelisation Team of the Diocese of Hexham and Newcastle. The icons are part of our evangelising outreach, for just as these saints carried the Gospel to all around them and even gave their lives in times of persecution, so we are encouraged to go out to live the Gospel in our times and circumstances. Many visitors praying with the icons would be a great witness to the strength of our faith. See the Diocesan website for more information, including a “prayer walk” along the Wear.